Featured amenities include a 24-hour business center, complimentary newspapers in the lobby, and dry cleaning/laundry services. 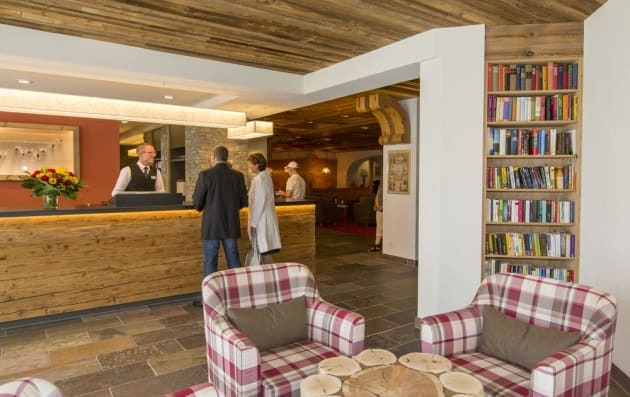 Planning an event in Davos? 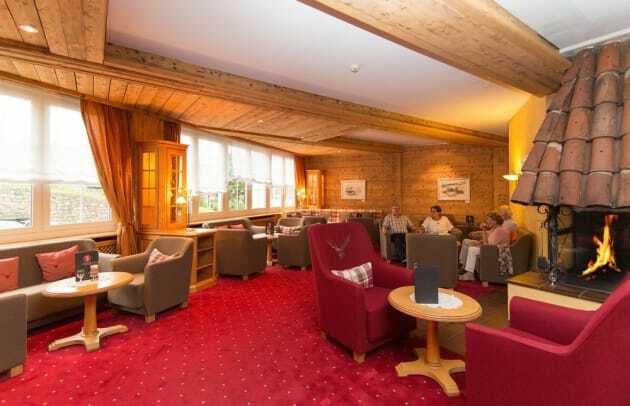 This hotel features 5748 square feet (534 square meters) of event facilities. A train station pick-up service is provided at no charge (available on request), and self parking (subject to charges) is available onsite. Satisfy your appetite for lunch or dinner at FAVORITES, a restaurant which specializes in international cuisine, or stay in and take advantage of the room service (during limited hours). Quench your thirst with your favorite drink at the bar/lounge. A complimentary buffet breakfast is served daily from 7 AM to 10 AM. 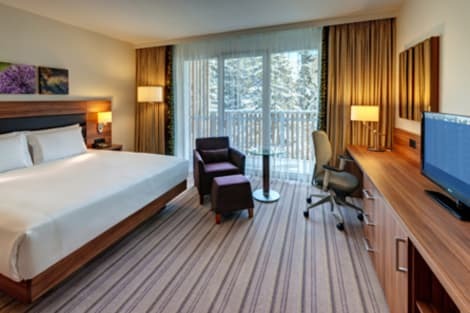 Whether you're here to attend the World Economic Forum or another conference at the Davos Conference Center, to enjoy the recuperative qualities of the fresh alpine air, or to ski in the largest ski resort in Switzerland, the Hilton Garden Inn Davos hotel offers a comfy base in the heart of it all. 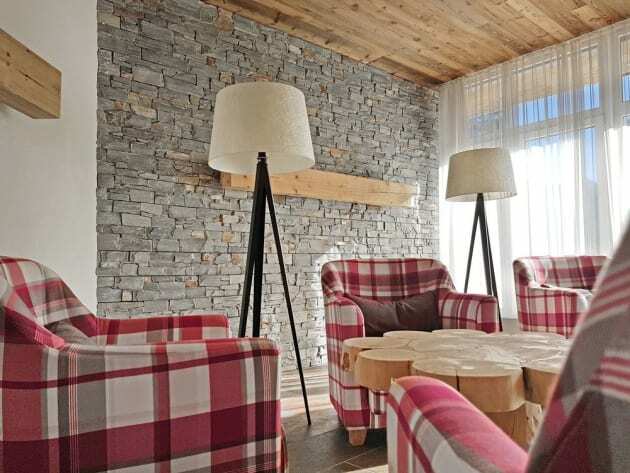 Enjoy the excellent location directly opposite the Davos Conference Center and just minutes from world-class skiing. Settle in to a comfortable guest room with the tools you need to stay productive on the road. Stay connected with complimentary high-speed internet access and remote printing, and work in comfort from the desk with ergonomic chair. Stay refreshed with the mini-refrigerator and tea/coffee maker and take some time out to relax on the balcony or to watch cable TV on the 36-inch HDTV. Grab a microwavable meal from the 24-hour Pavilion Pantry and enjoy in the comfort of your guest room or suite.Prepare for a busy day with a workout in the fitness center, featuring the latest strength training and cardiovascular equipment and savor a cooked-to-order breakfast in The Grill restaurant in our Davos hotel. Let our expert team members help plan meetings and events in one of four meeting rooms and put last minute touches to your presentation at the 24-hour business center.